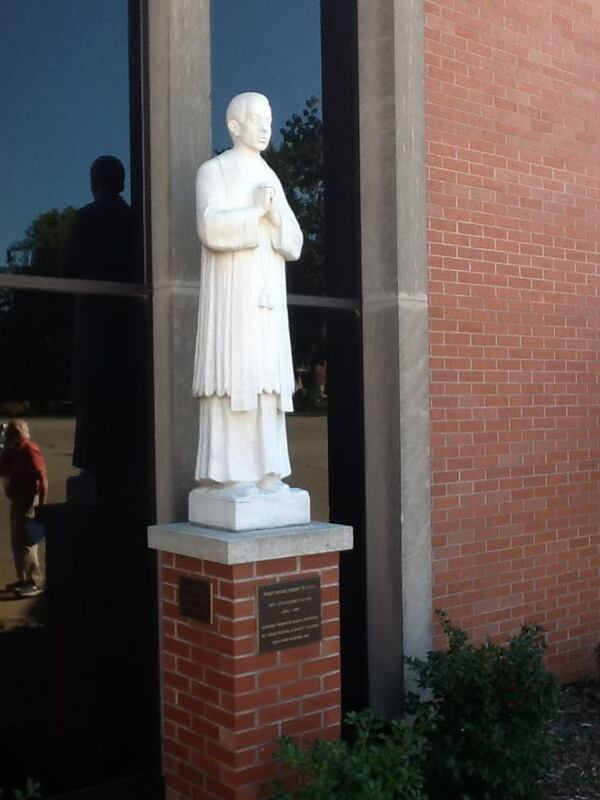 This past weekend, I had the pleasure of attending a pilgrimage sponsored by the Vicariate VI Office of Bishop Joseph N. Perry (Auxiliary Bishop of the Archdiocese of Chicago); the Office for Black Catholics of the Archdiocese of Chicago; and the Fr. Augustus Tolton Pastoral Ministry Program housed at Catholic Theological Union (CTU). As a student at CTU, Fr. Tolton’s name comes up frequently but I felt as though I still did not have a grasp on the real magnitude of this man’s life on the Church today. Therefore, at the invitation of my Norbertine Confrere and friend, Br. 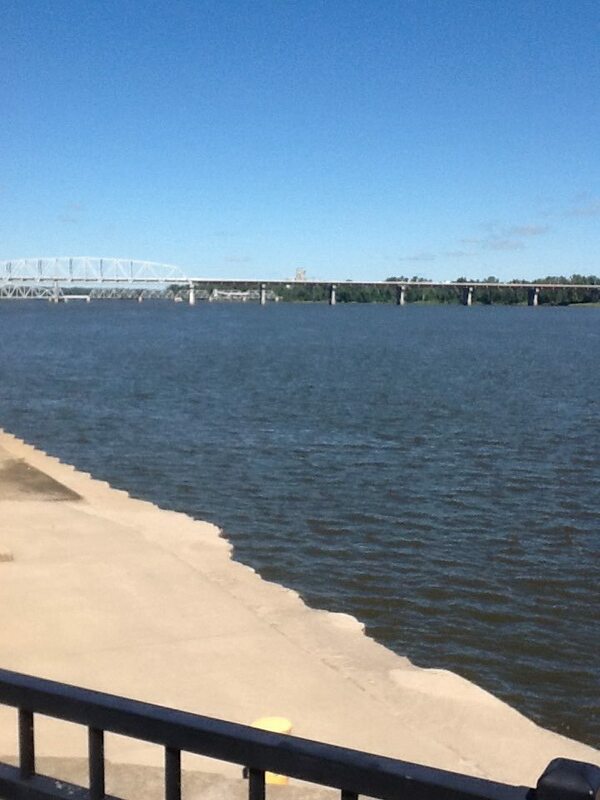 Gerard Jordan, I cleared my calendar and made plans to join the pilgrims on the way to Western Illinois. 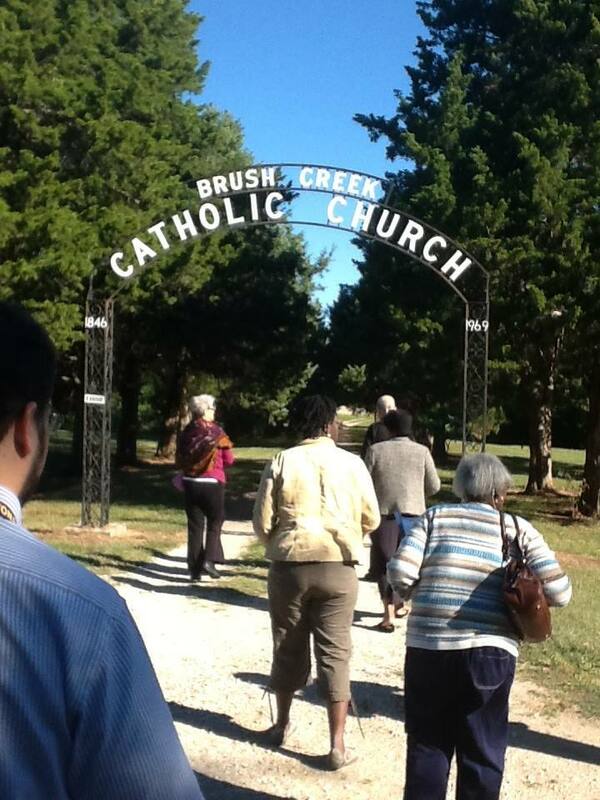 As the journey began on Friday morning, Bishop Perry gave us a detailed history of the life of Fr. Tolton. The bus ride also included the communal recitation of the Divine Office, the Prayer to Fr. Tolton (authored by Bishop Perry) and the praying of the Rosary. 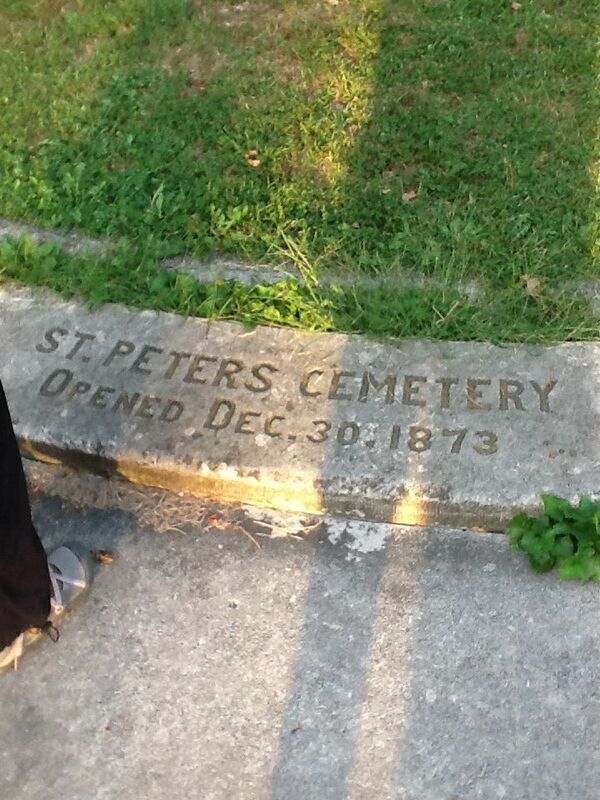 After a long day of travel, we finally arrived in Quincy, IL to check into our hotel and make our first stop: St. Peter’s Cemetery. [Fr. 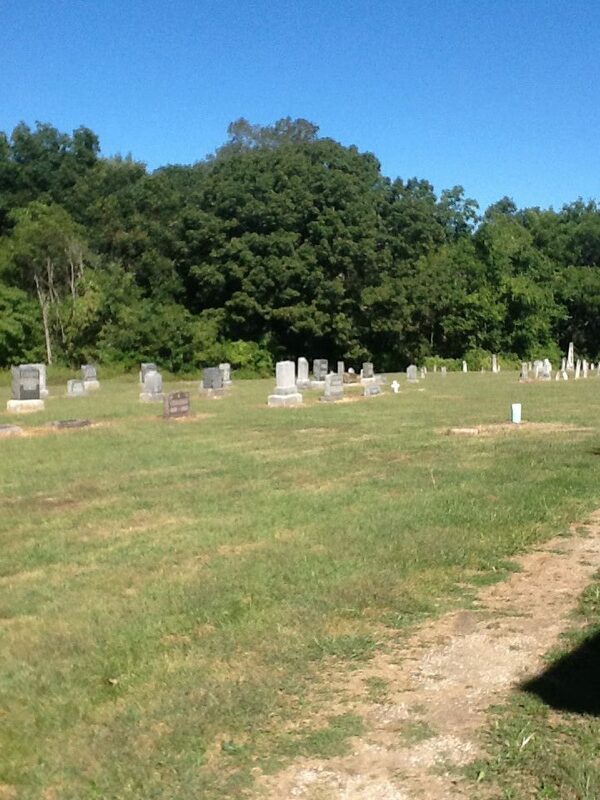 Tolton] was the only black person allowed this privilege [to be buried in this cemetery]. An Irish priest who was the dean of the area shared his grave plot that was large enough for four graves, so that Tolton’s body could be buried with dignity. So, it was here, at this donated grave that we were able to pray Vespers and spend a few quiet moments of personal prayer. After a delightful dinner with new friends, we were able to rest after a long day of cross-state driving. On Saturday we started the day by traveling some 40 miles away from Quincy to a (very) small town called Brush Creek, Missouri. Here a small stone church stands in the middle of lush farm country. 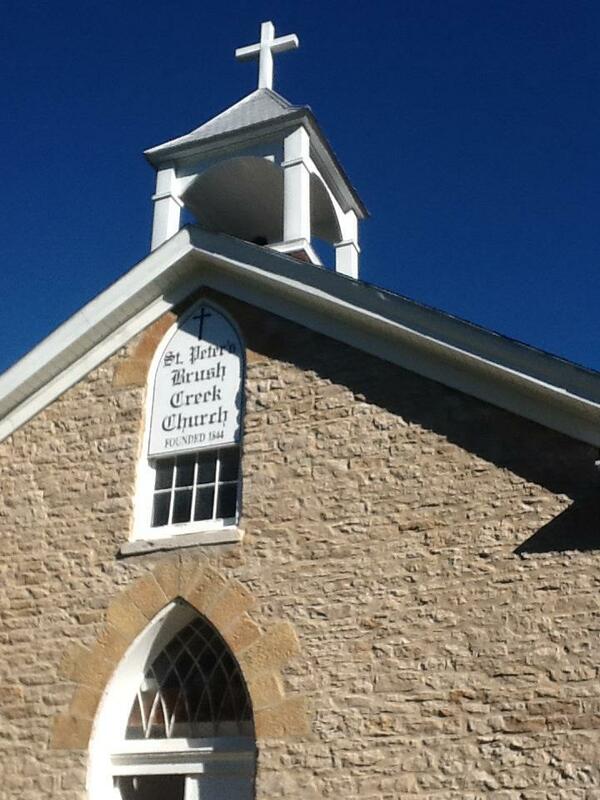 As it turns out, this church, named St. Peter’s, is the place where Tolton was baptized. This church is still used to this day, although there are only two Masses celebrated here on a regular basis: one in the spring and one in the autumn. The inside of the Church has been renovated (although the simplicity is still very evident). Joining us at the church were local townspeople who excitedly shared with us their passion for Fr. Tolton’s story and offered us homemade treats! In addition, the women of the town combined their talents and gifted our pilgrimage group with a quilt of St. Peter’s church that will be auctioned off at the Tolton Dinner in October in hopes of raising some extra money to put towards the cause of canonization. Perhaps the most poignant moment for me at this small country church, just down the road from the plantation where the Tolton’s worked the fields, was the graveyard. Not only was St. Peter’s church the house of prayer for Tolton’s family but also for the plantation owners and other slave masters that lived nearby. Thus, the cemetery was divided in two. Most of the cemetery was populated by ornate headstones that marked the ground where these people were laid to rest. 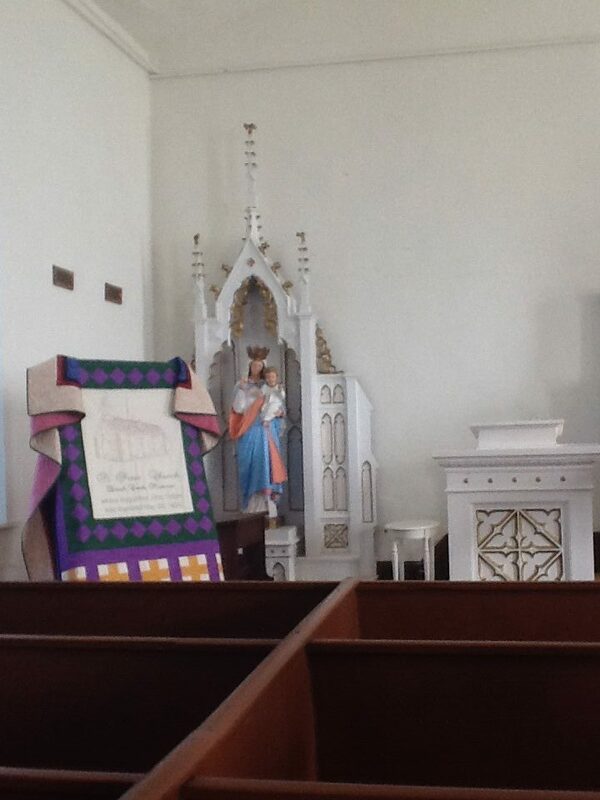 And tucked away in the back corner are small unmarked crosses. 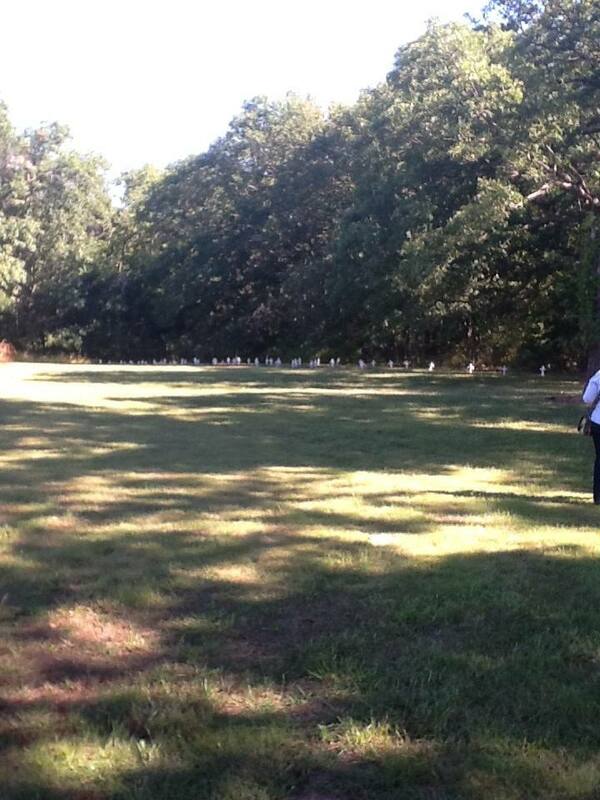 These markers barely recall the men and women who are buried under them. As a matter of fact, the markers in the picture are even nicer than the original crosses. Made of wood, the first crosses eventually deteriorated due to exposure to the weather. 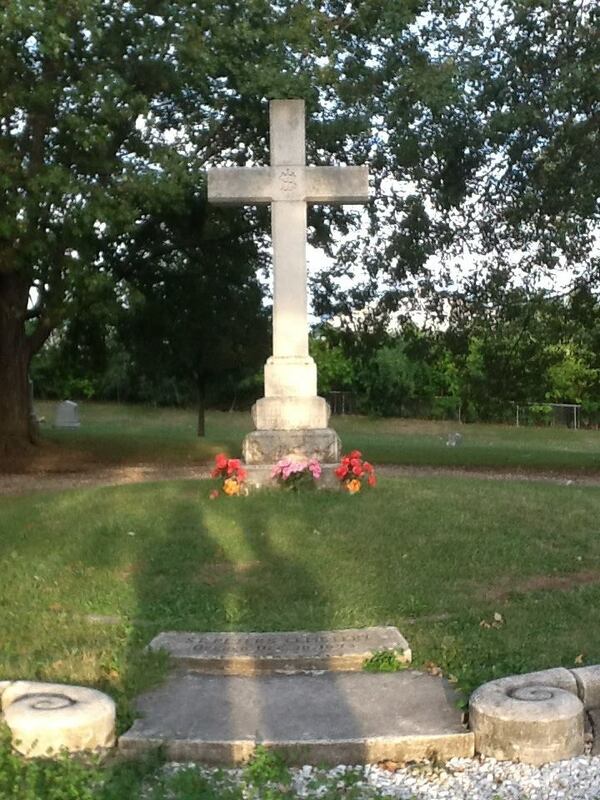 Therefore, new crosses were constructed recently in an attempt to dignify the plot of land. Even more appalling is the fact that behind the slave’s grave markers, in the wooded area, some believe that bodies of the deceased slaves may have been carelessly tossed into the woods without any hope of ever being remembered. Despite such heartless actions, may their souls rest in peace! arrived [in Illinois] after a harrowing escape across some forty miles of field, forest, and swamp, moving at night, hiding during the day, muffling the whimpering of a baby, apprehended at one point by Confederate bounty hunters, and then rescued by Union troops. During a night journey in a dilapidated rowboat across the Mississippi River, bounty hunters shot at the family (Father Augustus Tolton: A Brief Biography of a Faithful Priest and Former Slave by the Archdiocese of Chicago, pg. 3). Years later, Fr. Tolton would mention in a speech that the bounty hunters listed the reward for the capture of the runaway family at $200. And so, as we gathered along side the famed river, we prayed noon prayer and sang a few verses of the spiritual “Wade in the Water” led by the eldest pilgrim on the journey, a woman named Ms. Flora who will be 91 years old this year. The moment will be forever burned into my memory. After lunch we headed to the oldest surviving brick building in the city of Quincy, the former home of Dr. Robert Eells. 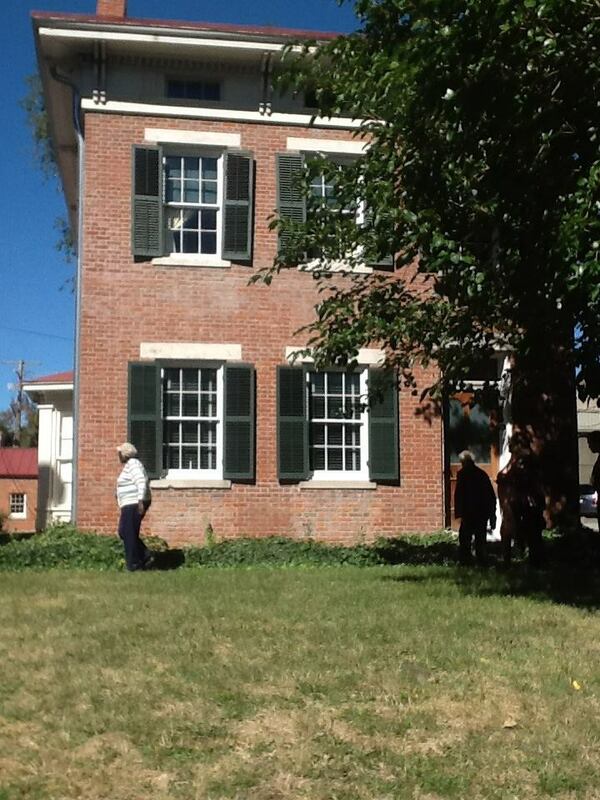 The good doctor and his wife opened their home to many runaway slaves as a part of the Underground Railroad. Although it is not likely that Tolton or his family stayed in this specific house, it is very likely that they depended upon saintly men and women in homes similar to the Eells home. It was in these homes that Tolton and other runaway slaves were able to get a decent meal, rest comfortably, and enjoy being treated with the dignity with which they were given by God while on their journey to freedom. After the brief tour of the Eells home, we again boarded the bus and headed to Quincy University. It was here that Fr. 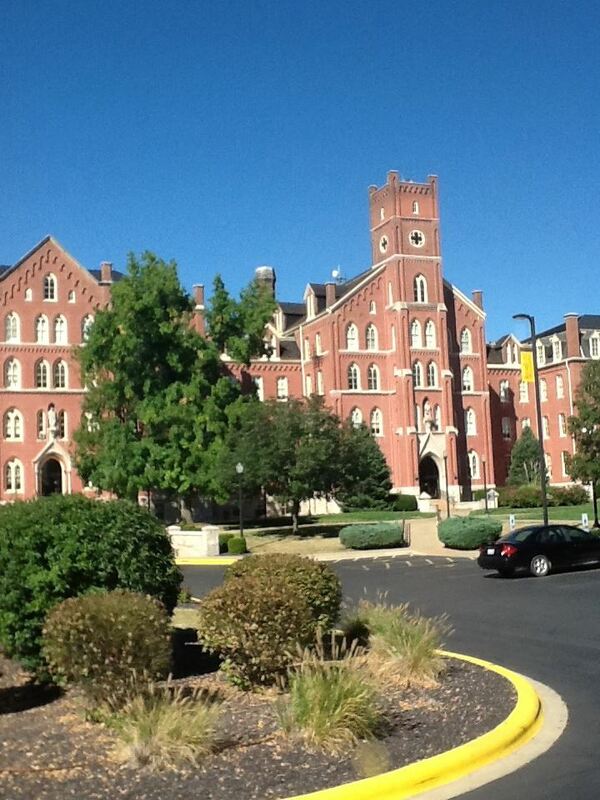 Tolton was offered a scholarship to study philosophy and liberal studies by the Franciscan Friars. Growing frustrated after seven years of being rejected by American seminaries, the Friars wrote to their Superior General in Rome and was able to secure a spot in a seminary in Rome. While studying in Rome, Fr. Tolton presumed he would be assigned to work as a missionary in Africa. However, on the day before his ordination word came that he would return to the United States and serve as a pastor there. It is reported that Cardinal Giovanni Simeoni, the Cardinal prefect of the Propagation of the Faith, explained to the dumbfounded Tolton that if the United States was as enlightened as it claimed to be, then he would be accepted and that the U.S. church owed it to herself to have a priest of African descent (ibid, 8). Thus, on April 8, 1886 the young Tolton was ordained to the Priesthood of Jesus Christ and was sent back to America to begin his pastorate. After facing some hardships and rejection from local clergy in Quincy, Tolton was finally welcomed at the church of St. Peter in Quincy. 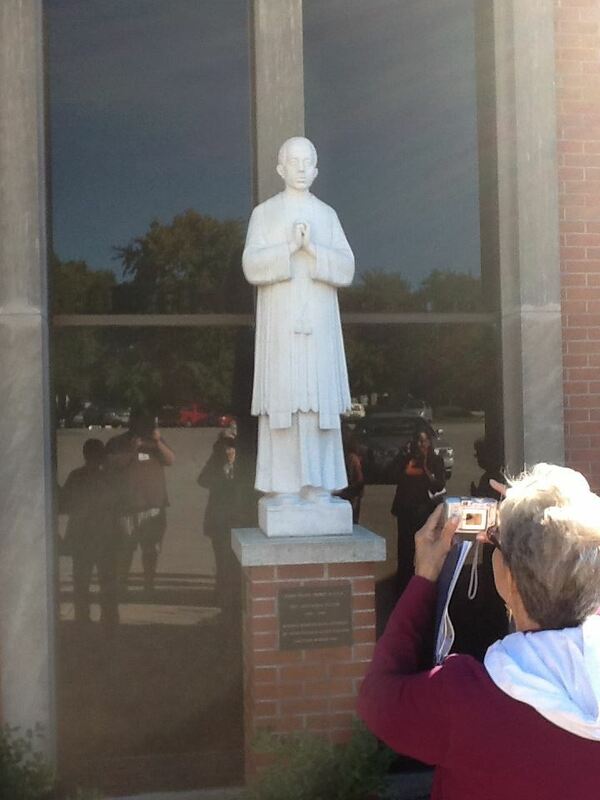 It is here that the only statue of Tolton is erected in his memory. 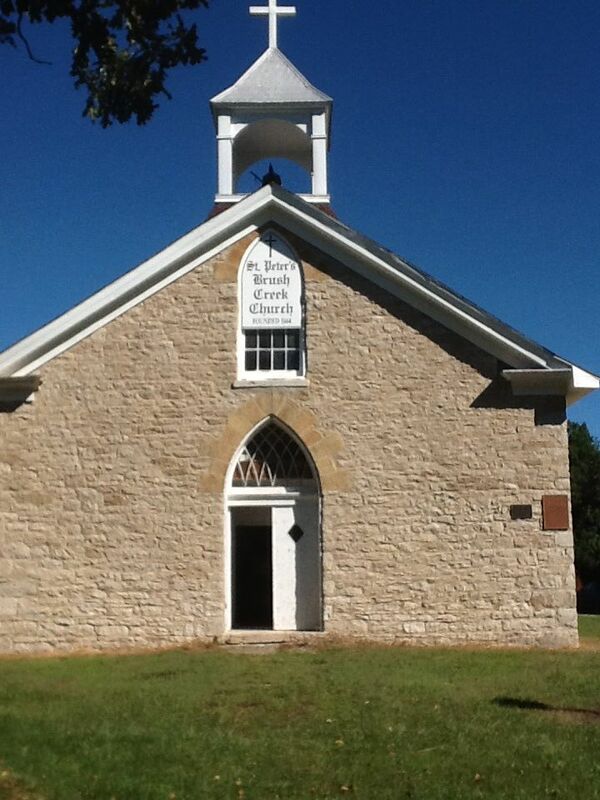 Although the church building has moved locations, the memory of Tolton is still very alive. Eventually, Tolton was asked to come to Chicago by Archbishop Patrick Feehan to help minister to the growing population of black men and women. After a day and a half of travel by train, Tolton arrived in the growing metropolis and took up his pastorate in the basement of St. Mary’s Church in downtown Chicago. However, as the population of African Americans continued to expand, Tolton eventually became the founding pastor of the now defunct parish of St. Monica’s at 36th and Dearborn. While building the parish church there, Fr. Tolton tried his luck at writing to a local wealthy family of entrepreneurs. His letters were received by Kathryn Drexel who would later be canonized herself! All in all, Tolton was a very dedicated pastor who cared for his flock dearly. He would spend his time visiting the sick and assisted the poor that lived south of the city. Despite all of this, civil laws still upheld the separate-but-equal mentality making it very difficult for blacks and whites to live in harmony with each other. After eight years of tireless service to the poor and needy of Chicago, and with constant emotional distress, probably caused by racial tension and exhaustion, the good Fr. Tolton died of heat stroke during a heat wave in July of 1897 while walking back to his rectory. He was transported to a hospital and later died. This pilgrimage taught me a lot about Fr. Tolton. His story is unique among the revered men and women of the Catholic Church. He was a man who knew hardship and knew it well. However, never once is there record of Fr. Tolton showing any visible signs of frustration, anger, or revenge. He stayed close to Jesus and asked his congregation to do the same. Fr. 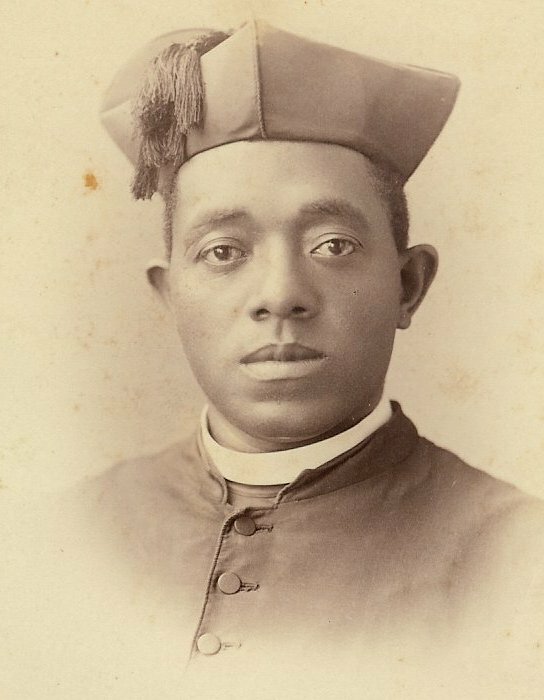 Augustus Tolton is “revered as the first black Catholic priest serving in the United States. His is a touching story of perseverance and good will. He is an inspirational model for how we Christian’s can handle persecution and hardship along life’s path” (Ibid, 13). Please pray for the Cause of Canonization for this holy man. His story is one that needs to be shared among all Catholics! Fr. 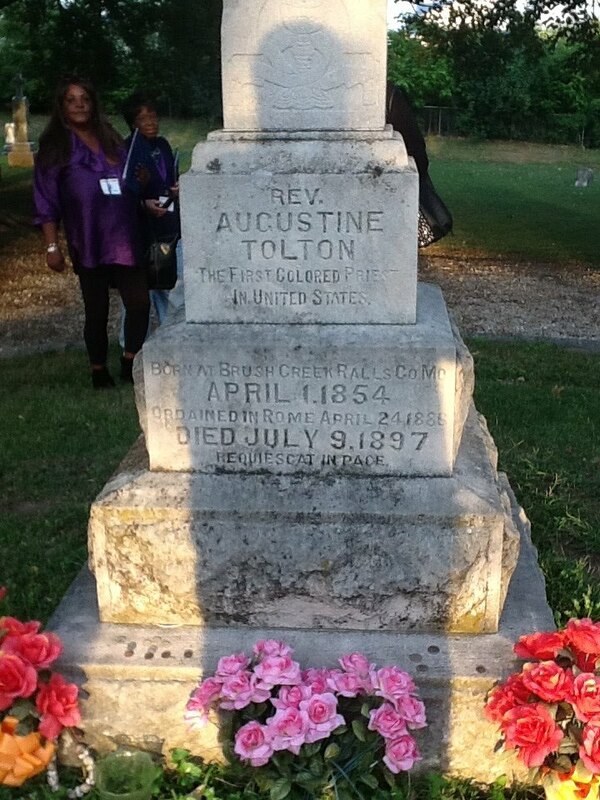 Augustus Tolton, pray for us! 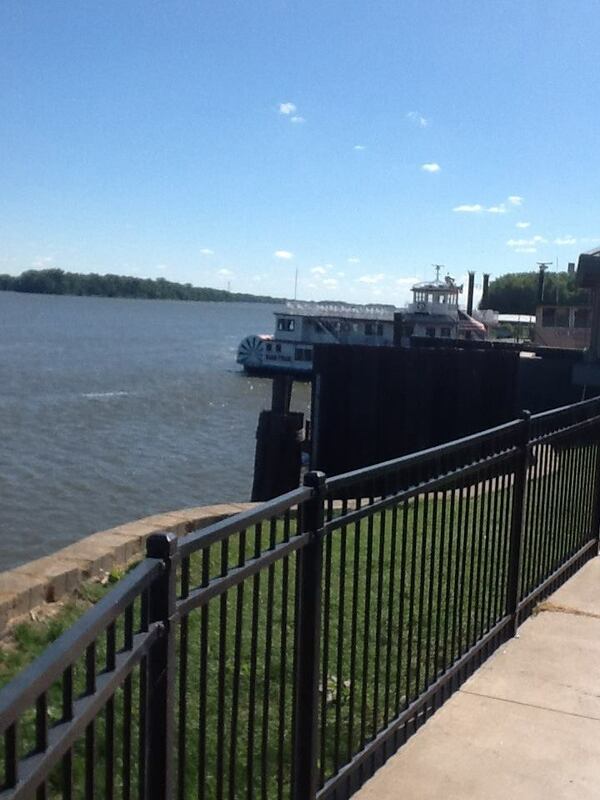 The children that escaped across the Mississippi were Charles, Augustus and Ann that was 12 at the time not a baby.